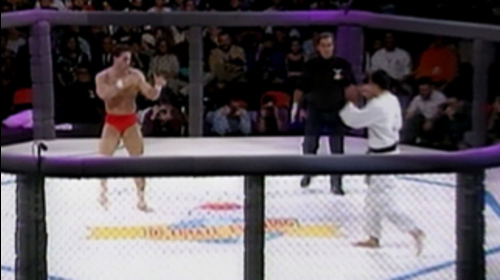 Ken Shamrock’s feud with Royce Gracie was the very first great rivalry of the UFC. Here, the “World’s Most Dangerous Man” gives his side of the original Octagon grudge match. 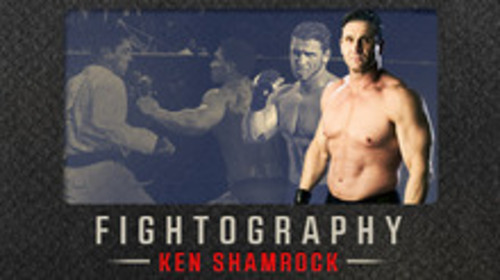 Fightography: Ken Shamrock Nov 20, 2014 (10:19) There have been many epic feuds in the two-decade history of the UFC, but only one rivalry can truly be described as historic. Ken Shamrock first collided with Royce Gracie in the very first UFC event and, feeling that bout was set up to favor the Brazilian, Shamrock became obsessed with getting the rematch. In this Fightography, the legendary leader of the Lion’s Den gives his side of the story of the UFC’s original grudge match. 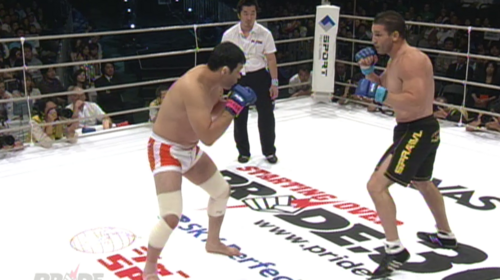 Ken Shamrock vs. Alexander Otsuka PRIDE: GP 2000 Finals May 1, 2000 (17:16) It was a superfight! Famous Japanese professional wrestler Alexander “The Diet Butcher” Otsuka was set to be the un-welcoming committee for debuting former UFC Superfight champion Ken Shamrock with his 23-5-2 MMA record. Kazuyuki Fujita vs. Ken Shamrock PRIDE 10: Return of the Warriors Aug 27, 2000 (18:10) An absolutely fun fight as two heavyweight bulls locked horns as former UFC superfight champion Ken Shamrock who was coming off a successful PRIDE debut clashed with Japanese wrestling standout Kazuyuki “Iron Head” Fujita with his 4-1 pro record. Tito Ortiz vs Ken Shamrock UFC 40 Nov 22, 2002 (25:44) After a long awaited return to the UFC, the legendary Ken Shamrock is welcomed back into the Octagon by UFC Light Heavyweight Champion, Tito Ortiz, who's fresh off four title defenses. Tito Ortiz vs Ken Shamrock UFC 61 Jul 8, 2006 (18:51) In the rematch of their immortal clash from 4 years earlier, The Ultimate Fighter 3 coaches and “bitter rivals”, former UFC light-heavyweight champ Tito Ortiz was set to fight former UFC Superfight champ Ken Shamrock inside the Octagon. ‘Nuff said. Tito Ortiz vs. Ken Shamrock UFC Fight Night Oct 10, 2006 (21:46) Every great rivalry deserves a conclusive ending! Former UFC champs Tito Ortiz and Ken Shamrock’s first bout was an all-out war, but their rematch ended quickly with a side of controversy. 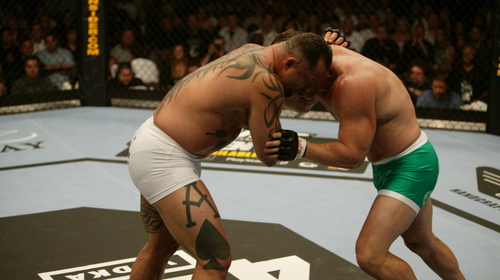 One more time, Ortiz fights Shamrock inside the Octagon.